I’m sitting on a terrace at the Nemacolin Spa in Pennsylvania, laughing. Not a tinkling trill but those guffaws where your eyes water and your hands go to your stomach because it hurts. I’m hanging with my squad, as my teenage daughters refer to my girlfriends, and we’re having a blast. For a weekend we rule this resort—which is mostly empty because it’s off-season; hence our ability to afford a room. We stroll the grounds, stop for sips of tea or champagne, fill the restaurant with raucous banter, but one thing never stops—the talking. We cover the gamut: kids, work, climate change, vegan versus paleo, our dreams. I’m hanging with my squad, as my teenage daughters refer to my girlfriends, and we’re having a blast. This weekend almost didn’t happen. Getting four busy women to leave it all behind for thirty-six hours isn’t easy. But as we take our exit to get us home to Cleveland, we can’t stop talking about how happy we are that we did; how revived and excited we feel after a mere thirty-six hours together. Curious about why spending time with my women friends can radically transform how I feel, I reach out to relationship specialist Jeanette Raymond, PhD, and author of Now You Want Me, Now You Don’t, to find out more. “Part of it is that someone has the same kind of physical experience and gender identity as you, so there’s a built-in tacit feeling of connection that you aren’t going to get with a man,” she says. It makes sense. My husband is my best friend and I certainly spend the most time talking with him, but there is that unique implicit understanding that comes with my women friends. Then there’s the social support from these friendships that does more than just provide a good time—friends give us a sense of self-worth, Raymond asserts. I realize this as I consider my friendships: I am validated that I can provide the camaraderie and support my friends need. It makes me feel worthwhile, and it just feels good to help someone out. This can have quite a trickle-down effect of increasing independence and confidence, Raymond notes. Apparently, friendship also promotes empathy, says Raymond. When we take on someone else’s perspective, we switch the channel from our own station. Not only does this enable us to offer our friends relevant support, but it can provide a broader lens from which we view our own lives—sometimes even the world. Plus, have you ever noticed that half the time you are suggesting a solution (like regular exercise) to a friend, you’re reminding yourself of it at the same time? Thus, in a variety of ways, social ties may influence emotional and physical health and even longevity. 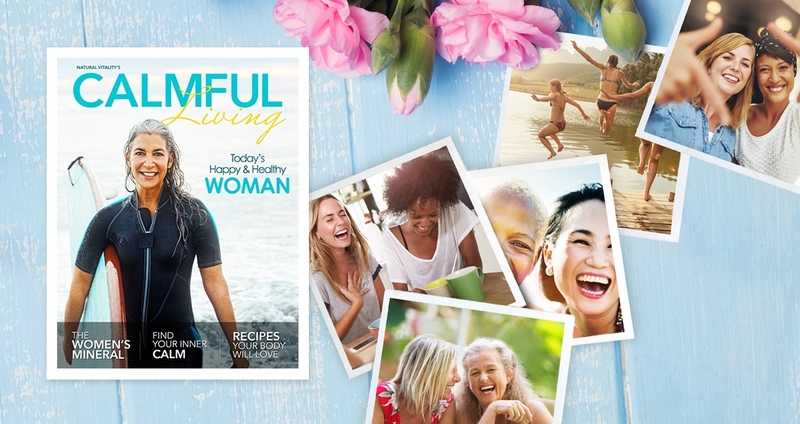 Indeed, research shows that women live longer if they can make affiliations with other women that create a supportive underpinning—“it helps them deal with everyday stresses and strains in a more resilient way,” according to Raymond. While I don’t have too many weekends away such as this, maybe one a year, I’ve learned to prioritize time with friends. It might be long walks in the neighborhood, chats at the local café or meeting up for dinner. I have one group with whom I have occasional text conversations—emojis and all. Learning some of the proven benefits of friendship sheds a new light on my time with friends. It’s a green light that tells me to go for it—that the benefits go way beyond laughter and support. I think I’ll text my squad to schedule a walk.